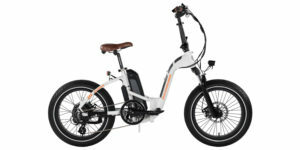 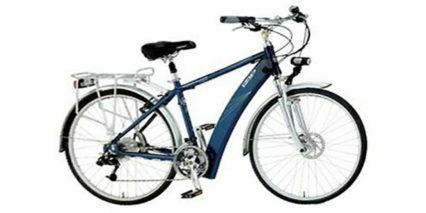 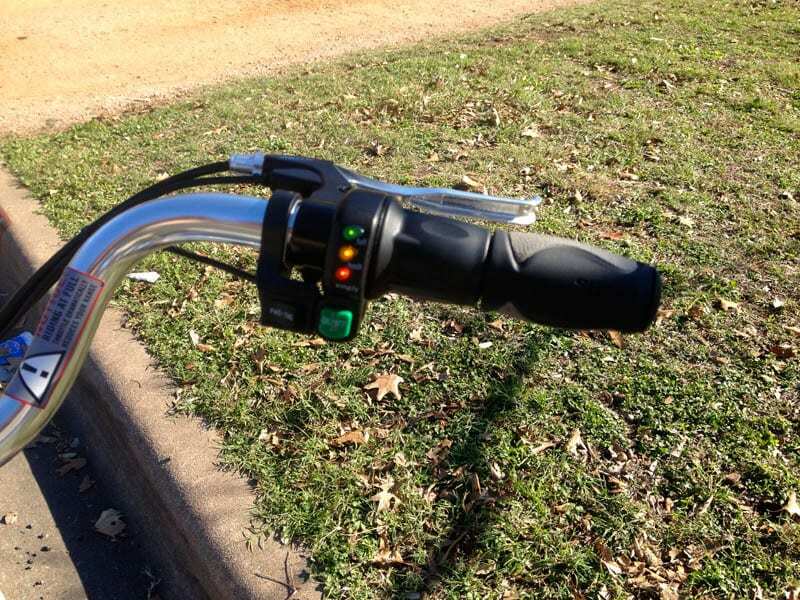 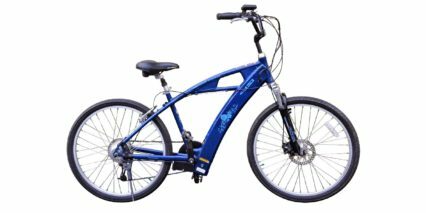 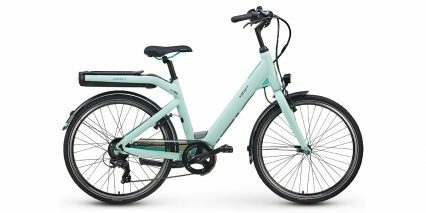 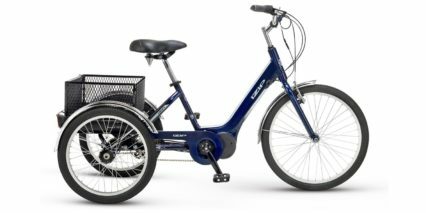 This review is for the first generation of IZIP E3 Path electric bikes. 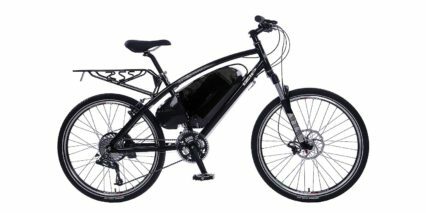 In 2014 the motor, battery pack and control system was updated to offer more power and provide a smoother ride. 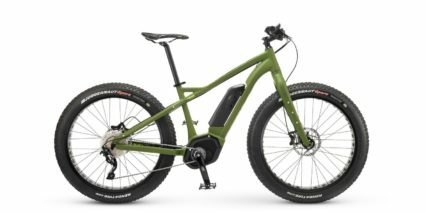 The price also jumped up to $2,200. 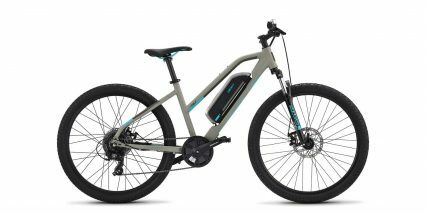 You can see the updated E3 Path+ review here or continue reading for info on the old model which may be found used or on sale at local electric bike shops. 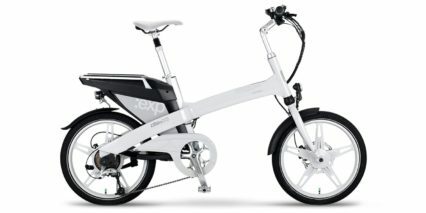 The IZIP E3 Path is a hidden treasure in my opinion. 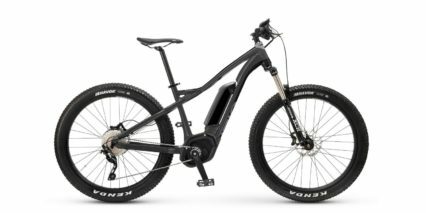 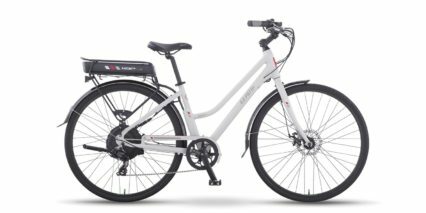 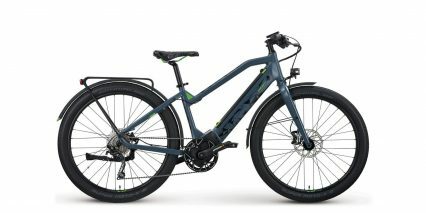 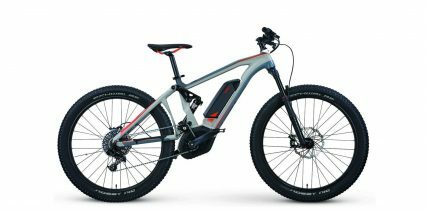 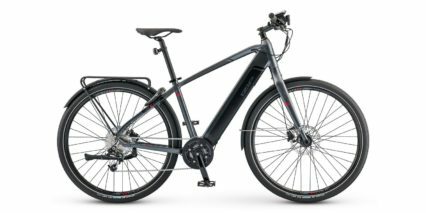 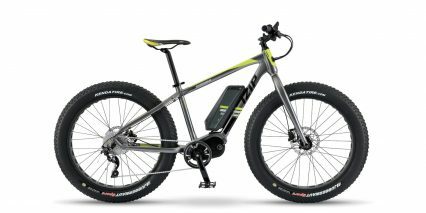 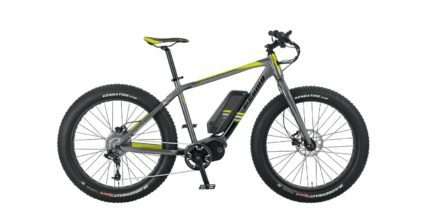 It offers something unique in a the world of ebikes where larger motors and big beefy tires get a lot of attention. 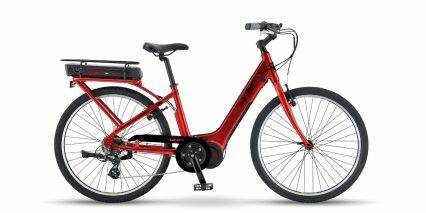 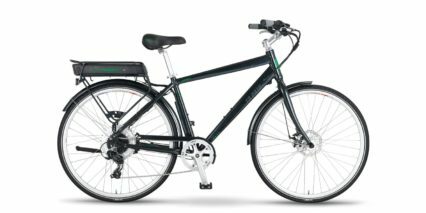 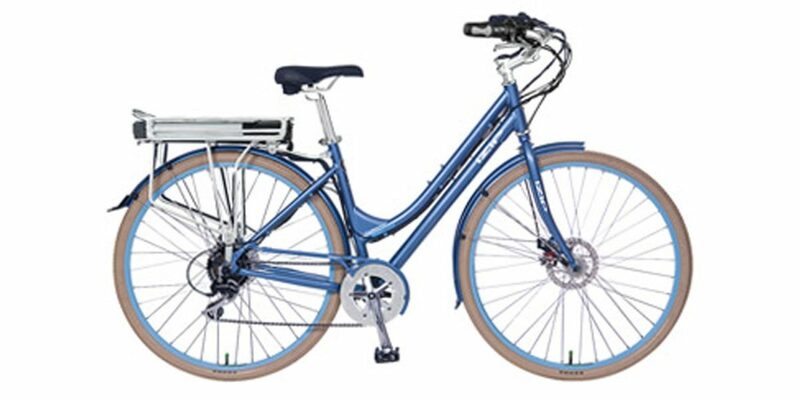 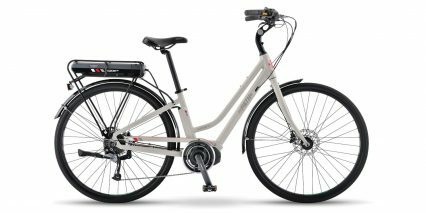 It’s easy and comfortable to pedal, doesn’t weigh a whole lot (especially compared with electric bikes in the same price range) and offers several high quality extras that improve the aesthetic and function of the bike as a city or neighborhood rider. 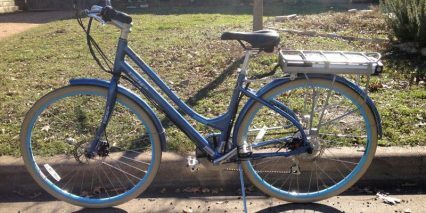 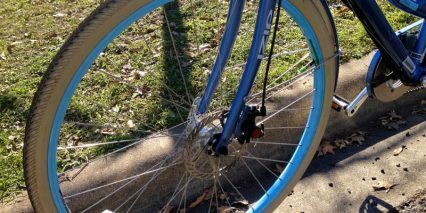 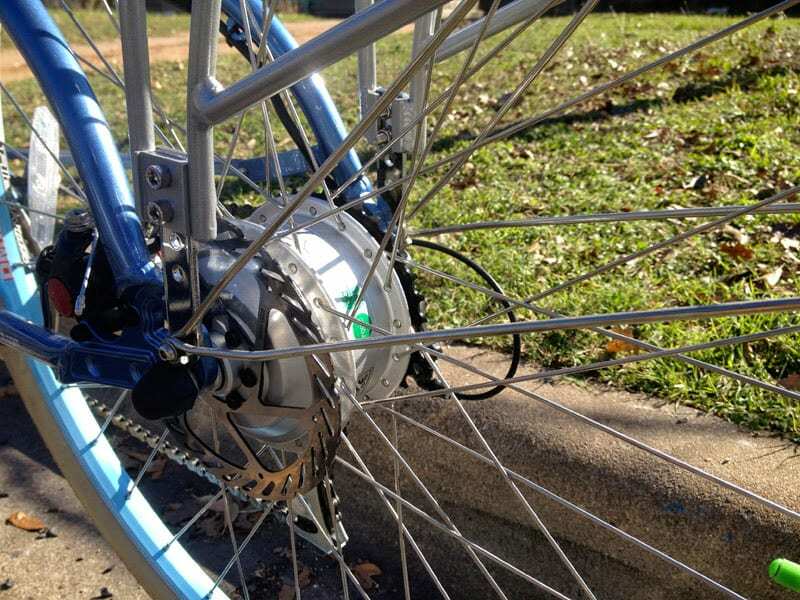 While the hub motor on this bike is only a 250 watt, it still moves the bike considerably well. 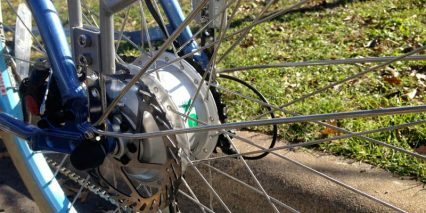 This is the standard size of electric bike motor in many European countries and it does mean that as a rider you’ll be required to pedal more, but the upside is that it weighs less. 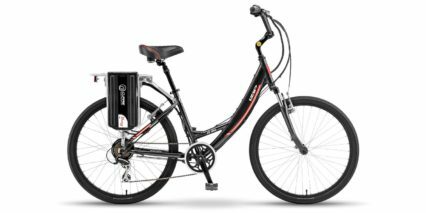 The smaller 24 volt 10 amp hour battery echos these same characteristics; light but less powerful. 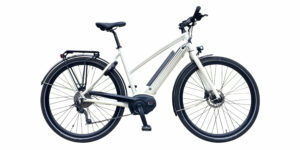 Both the battery and motor on this bike are positioned at the rear so the bike is back-heavy which makes lifting it a bit awkward but this layout is standard on many ebikes and has the benefit of applying force to the strongest points of the frame and keeping wires shorter and easier to manage. 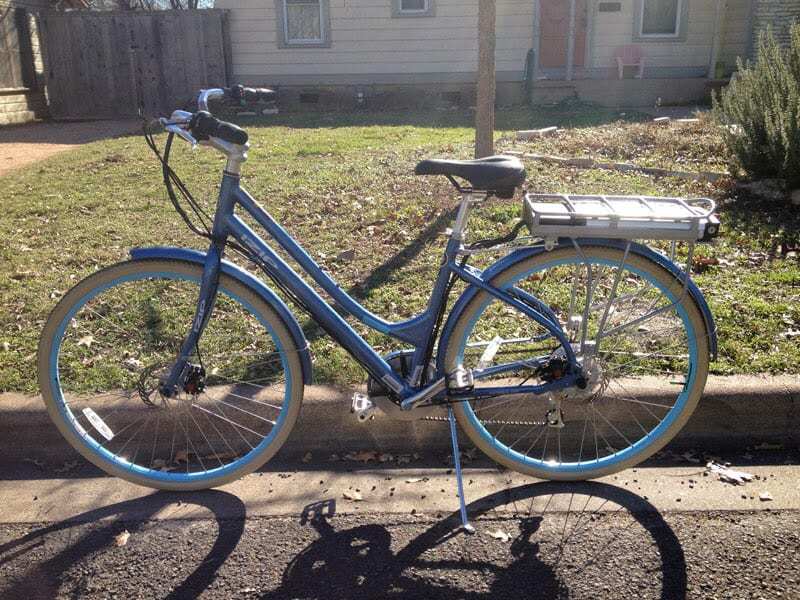 The beautiful fenders, painted rims, chain guard and tires make this bike a real beauty. 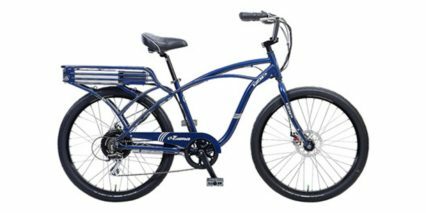 While it does look like a classic cruising bike it also rides a bit like one in that it’s stiff and unforgiving over cracks. 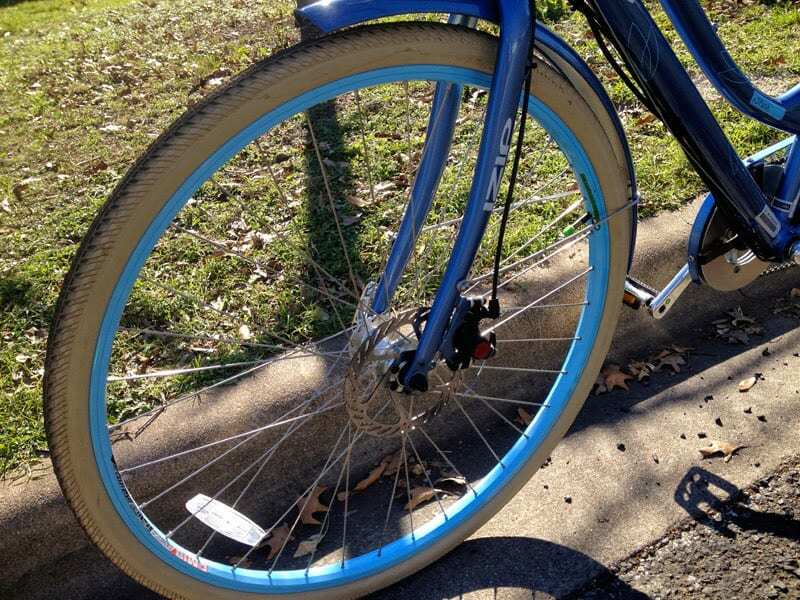 There are no shocks or extra air in the tires helping to absorb the bumps. 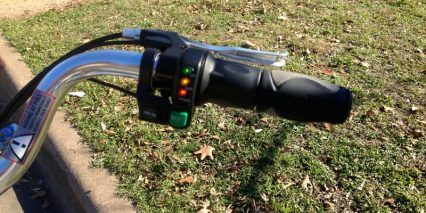 This is less of an issue at lower speeds but worth considering for sensitive riders. 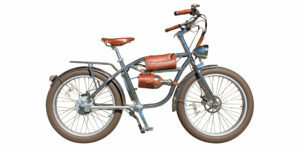 The swept-back handlebars keep rider head position elevated which is great for spotting cars and relieving shoulders. 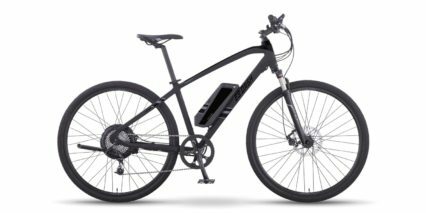 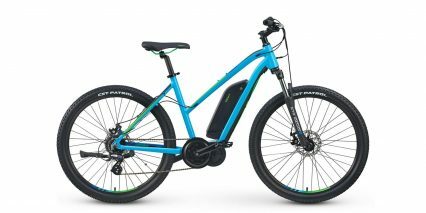 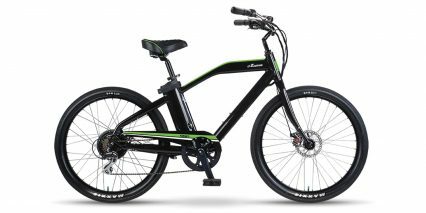 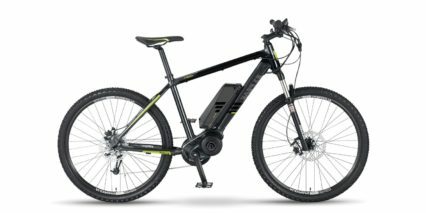 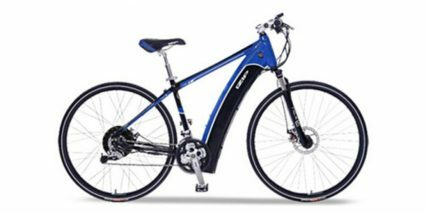 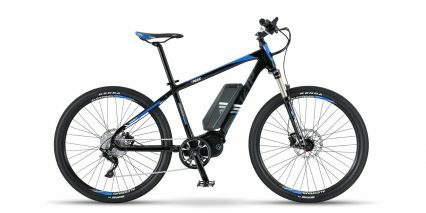 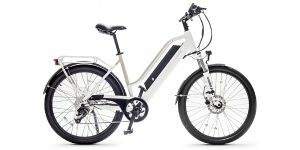 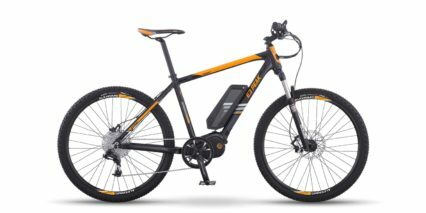 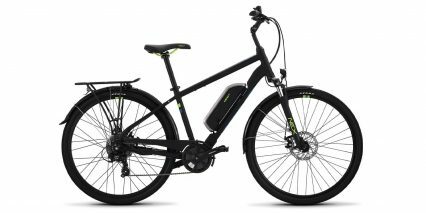 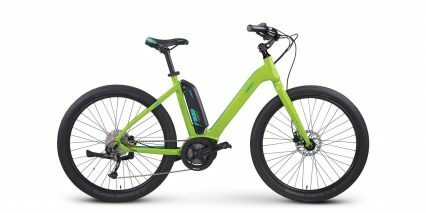 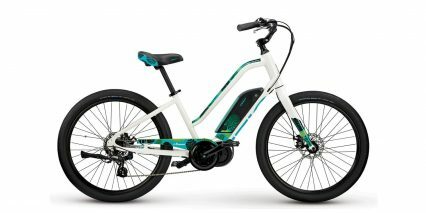 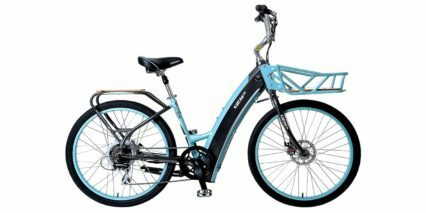 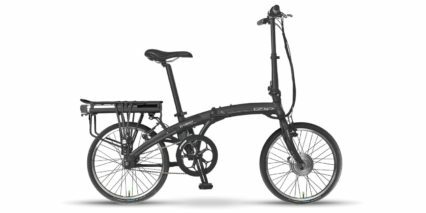 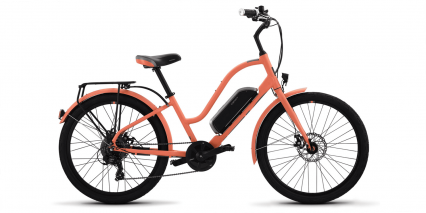 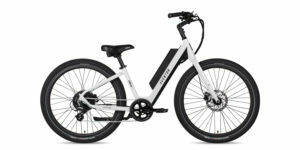 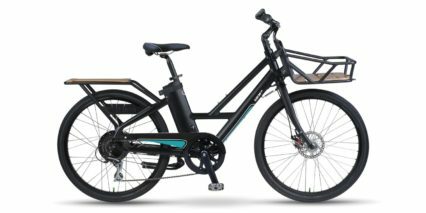 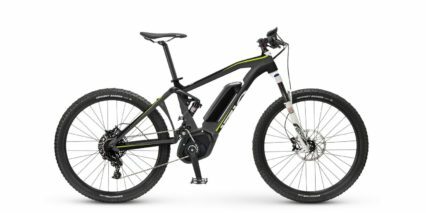 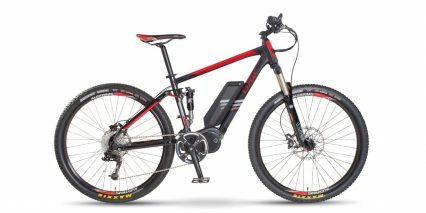 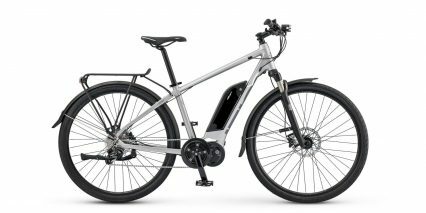 Overall, this is a fun, affordable electric bike produced by Currie Technologies (a long time leader in the space) that comes with a good warranty and looks great. 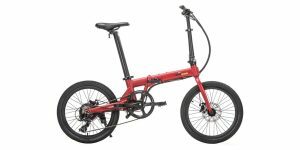 It’s not the most powerful bike out there but it works quite well if you’re willing to pedal along.